EGO maximizes the impact of consumer content by leveraging customer photos and videos and by advertising to in-market shoppers with targeted ads to build awareness of a new brand. 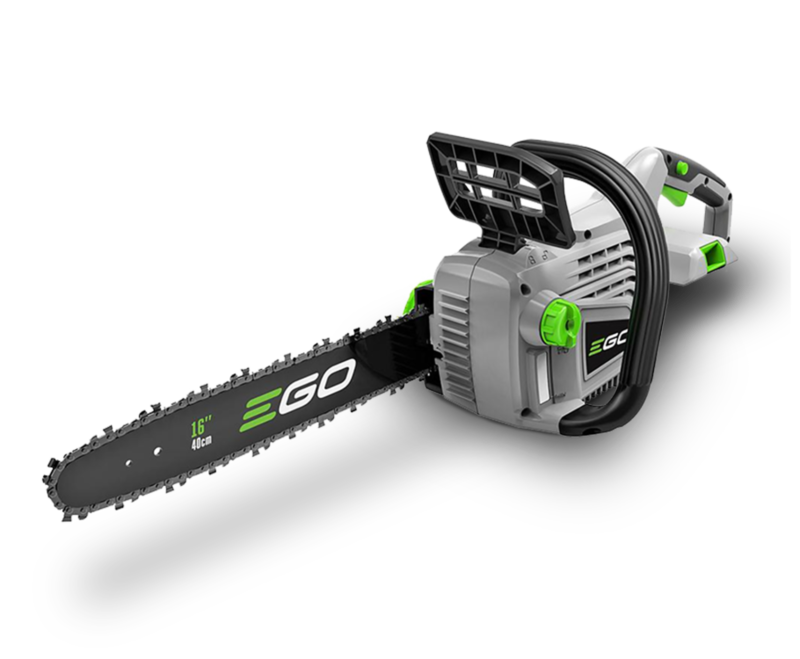 Launch the new EGO brand of cordless outdoor power equipment and quickly establish its leadership in the market. Used the Bazaarvoice platform to build a multi-faceted consumer content program to build the new brand. Led the market within the first year and established a platform for continued success with consumer content. Custom audience segments from first-party data allow EGO to identify and target those who are truly in-market for lawn mowers and other power tools. 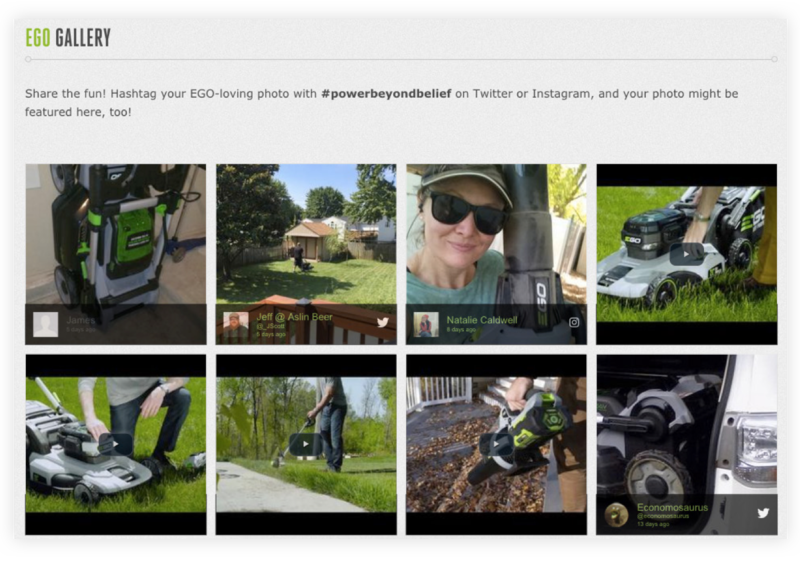 When EGO cordless outdoor power equipment launched in 2013, the marketers behind the brand knew that customer reviews and other consumer content would play a powerful part in EGO’s ultimate success. As a new brand, the company had no content online, brand awareness or any meaningful way to showcase the quality of EGO products to retail partners or consumers. They turned to Bazaarvoice for the technology platform they needed — not just to collect and publish ratings and reviews, but to do everything possible to maximize the impact of consumer content. Today, EGO relies on a suite of Bazaarvoice solutions, including Ratings & Reviews for a robust ratings and reviews program, including the syndication of reviews to key retailers. Bazaarvoice Curations takes EGO beyond reviews to include customer photos and videos in consumer content. Finally, Bazaarvoice Advertising helps the brand reach in-market shoppers with targeted ads for EGO products. The Bazaarvoice platform has helped to build a brand that now dominates the competition in sales, and often finds it challenging to keep enough inventory on-hand to meet demand. The EGO brand has a passionate base of customers who are writing thousands of reviews to share their experience and inform potential purchasers, especially on the high power and performance of the products. These reviews have contributed significantly to a major lift in online conversion year-over-year, according to Joe Turoff, VP of Sales and Marketing for Chervon, the company that manufactures EGO. But it’s not just the ability to collect and publish reviews on the EGO website that has been so instrumental to the brand’s success; it’s the ability to syndicate that content to websites of major retailers and on multiple international sites. Being able to feature large numbers of reviews on retailer sites accomplishes two things, says Turoff. First, it enables EGO to reach more potential customers where they are likely to buy, and second, it enhances our position with the retailer, by demonstrating that consumers are rallying around our products. Along with high review volume, the brand’s line of lawn and garden equipment has the highest overall average rating at a national home improvement retailer. It’s normally not possible for brands that sell through retailers to respond directly to consumers who have issues with or questions about products, since the retailers control the customer interactions. But when the brand and retailer are both on the Bazaarvoice platform, there’s an interface for the brand to participate in responses to consumers. With the direct-response capability, EGO is able to engage with its retail partners’ customers by answering questions and responding to reviews on the retailer’s website. After three years using the Bazaarvoice platform, EGO is continuing to explore more ways to use it to increase the impact of consumer content. The brand recently started using Bazaarvoice Curations to add more customer photos and videos to the consumer content on its website, including images posted on social channels. We recognize the importance of Curations for showcasing pride of ownership, says Turoff, and we’re looking forward to doing more of that. EGO is also using Bazaarvoice Advertising to efficiently reach and engage with active shoppers. 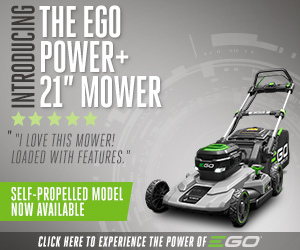 Custom audience segments based on first-party data and unique insights collected from real-time shopper behavior allow EGO to identify and target those who are truly in-market for lawn mowers and other power tools. One 2016 ad campaign that EGO ran netted a 200% lift in brand consideration, as compared to those who didn’t see the ad. Additionally, by incorporating their authentic review content in Word of Mouth Ads, EGO is able to reach shoppers with relevant and useful messaging to help guide them through the purchase process. Finally, Bazaarvoice Advertising helps the brand reach in-market shoppers with targeted ads for EGO products. Other parts of the business are benefiting from their Bazaarvoice program as well, including all teams that want actionable insights into the customers or products. The product team scours review content and picks up on what people are saying, says Turoff. They’ve been able to make great products even better using the information they receive. The EGO brand of cordless outdoor power equipment is the brainchild of Chervon, one of the world’s largest manufacturers of electric power tools and related products. Over the past 20 years, the company’s philosophy – to build a better world by building better tools – has earned a reputation for quality and innovation. We did Word of Mouth Ads through Bazaarvoice Advertising this year. I can confidently say it was a good buy, and we’ll be doing it again.